Camilla Tominey is the Royal Editor of the Sunday Express in London, a Royal expert for the American television network NBC and a seasoned Royal Commentator for broadcasters in Britain and around the world. Camilla first started reporting on the British Royal Family in 2005, when she covered Prince Charles's marriage to Camilla Parker-Bowles at the Windsor Guildhall, watched by millions around the world. Since then she has reported on all the major Royal stories, including Prince William's engagement to Kate Middleton, their subsequent marriage and the births of Prince George and Princes Charlotte. Her world exclusive scoops include Prince Andrew being held at gunpoint at Buckingham Palace, a story that was reported around the globe in 2013. 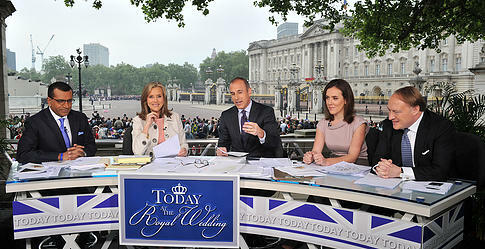 Camilla co-anchored the Royal wedding for NBC's Today Show with hosts Meredith Vieira and Matt Lauer, contributing to programming across the network that was watched by 55 million viewers. An authority on Royalty, Camilla has spent the past decade shadowing the Royals at home and on tour, most recently covering the Duke and Duchess of Cambridge’s tour of New Zealand and Australia with their son. A seasoned interviewer, Camilla has been granted exclusive access to interview many members of the Royal Family including Prince Philip, Prince Harry, Prince Andrew, Zara Phillips and Sophie Wessex. An experienced on-screen commentator, Camilla has given her expert analysis to TV and radio stations around the world and is a regular on the BBC, ITV, Channel 5 and Sky News in Britain. Internationally, she has worked with CBC, CTV and Global in Canada, Nine Network Australia, Germany's ZDF and ARD, RTL in France and countless more broadcasters. 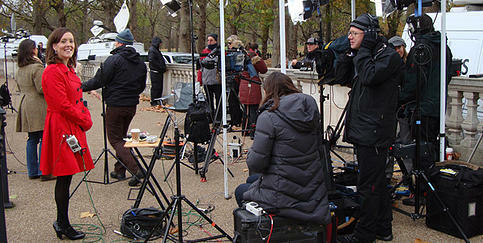 She first started working with NBC News in 2010 and since then has contributed to cutting-edge news programming on all aspects of the Royal Family. Camilla lives in Hertfordshire with her husband Dominic and three children.